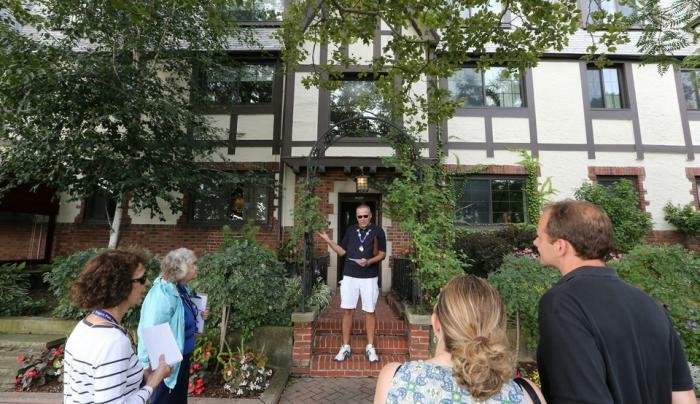 Buffalo is nationally known for its rich history, diverse neighborhoods, and architectural gems. We arrange private group tours, step-on guides, and educational field trips on request! 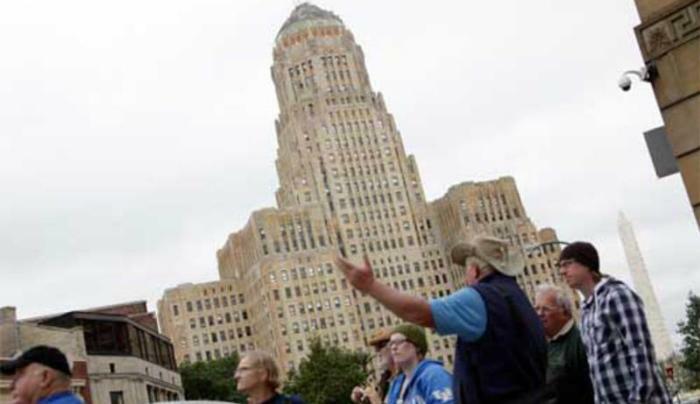 Visitors and residents alike are invited to enjoy any of different tours held during the year by Buffalo Tours. From the top of City Hall to the majestic grain elevators to the Erie Canal, we can take you there. 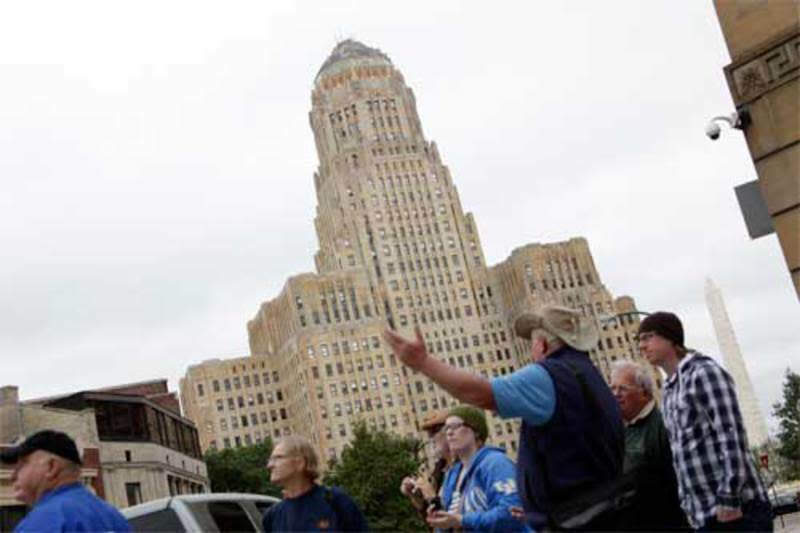 Experience firsthand Buffalo's magnificent heritage up close and personal with residents that know it best! 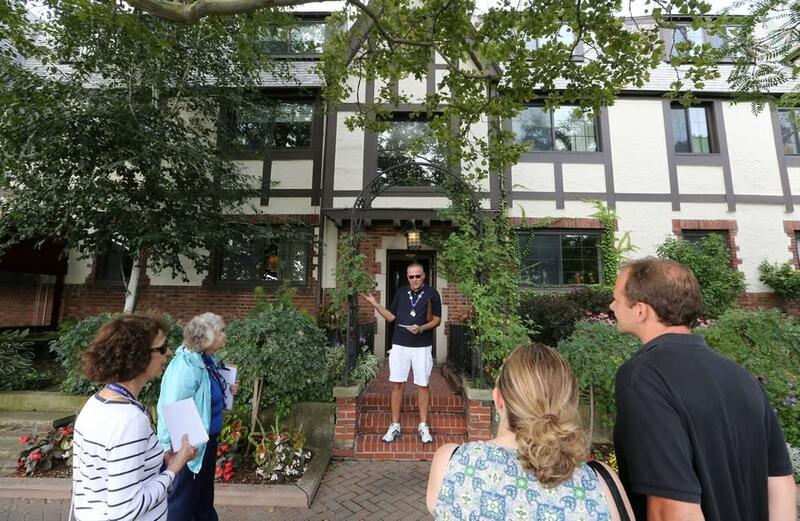 Most publicly scheduled tours do not require reservations--simply arrive at the indicated starting point a few minutes before the tour is scheduled to begin. Tours take place rain or shine, and throughout Western New York.